Home Workstyle How Transparency can Help Your Team to Perform Better at Workplace? There is a common misconception that great leaders are born, not made. People think that these great leaders decide to be great and they achieve overnight success and achievement. But the reality is totally different… leadership demands hard work, determination, constant refinement and dedication to achieve your dreams. Though some of the traits of great leaders are easy to recognize such as respect and authority. Most emerging leaders are familiar with these traits and eagerly work toward them. But above all, there is one specific trait that commonly gets neglected by most of them. If you really want to build trust and confidence within your team, the trait you need to embrace more success is nothing but transparency. When we relate transparency to leadership, it clearly means that it is a degree of honesty, sincerity and frankness, executed more frequently that your resources trust in your bluntness. The transparent work culture can promote more honesty and openness in the entire team. 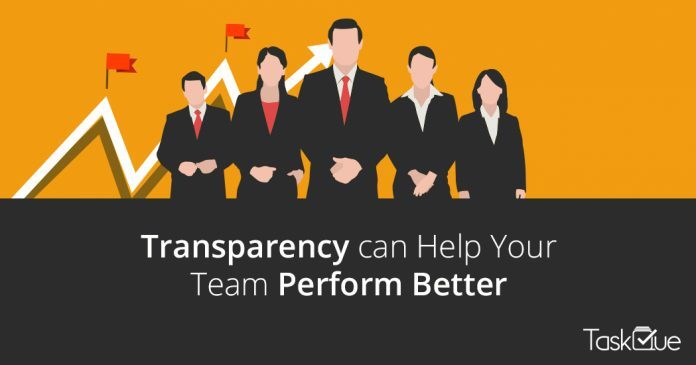 The superior characteristic of transparency is geared toward attaining benefits for the whole team while flourishing a positive work environment. Promoting more transparency in your work culture and in your leadership style can lead you to build more fruitful relationships with your whole team that last long. Building a healthy, mutually respectful, social relationships with your team members is a productive formula to achieve your goals. Being transparent makes you more approachable while making you an ideal manager rather than a robotic boss. At the end of the day, you’ll succeed to build a positive work environment and sincere relationships with your team members that last longer. Being transparent to your team is the easiest way to build trust and credibility, though it is difficult and takes a long time but it really works. Being completely honest and approachable will ultimately give your employees a great sense of trust that leads to a more unified team and a healthier work culture. Moreover, you will be able to easily assign tasks, analyze your team’s performance and provide a clear direction to your team and resources will respect and consistently follow you. Transparent leadership allows resources to be more honest about their individual points of view and more open about sharing their ideas with others. The more honesty, sincerity and frankness you promote in your team, the faster you will be able to work together to achieve your goals. It is easier to assign tasks to your team when you are honest about the project goals. Encouraging the transparent work culture will also promote transparency at all levels. Resources will feel more comfortable expressing their ideas, doing their tasks and openly engaging in discussions. In a positive, transparent culture, people will be more comfortable and they are going to work harder for the company’s success. Even if they don’t work harder, they will work smarter and more productively. I think, this is the one of the most amazing benefits of fostering transparent leadership that can prepare your company to reach new heights of success. In order to achieve the maximum benefits of transparency, it is important to consider a handful of strategies to improve your transparency trait as a leader. 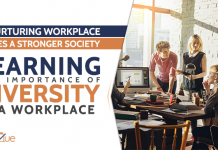 This way, you will be able to cultivate a working culture that rewards equally transparent employees. Share your ideas openly. Though it is challenging, especially when expressing criticism, but honesty is important. Keep the direction consistent, otherwise you can easily lose your credibility as a transparent leader. Keep all your words. Remember, if you don’t have potential to fulfill your commitment, don’t promise. Carefully listen to feedback of your resources. Even if you disagree with it, value their opinions and respect for it. Use project management software that not only promotes transparent work culture but makes it easier to track the progress and review objectives at any level. Simply following these strategies is not enough. You need to build a long lasting trust that you can only build through consistent execution and then you will be able to reap the full benefits of transparency among your entire team. Previous articleHow Much Time is Required For PMP Exam Preparation? Next articleSmart Project Management Hacks by Nguyen Si Trieu Chau- The Founder of Atoha!